Would you like assistance solving an important problem or making an important decision? 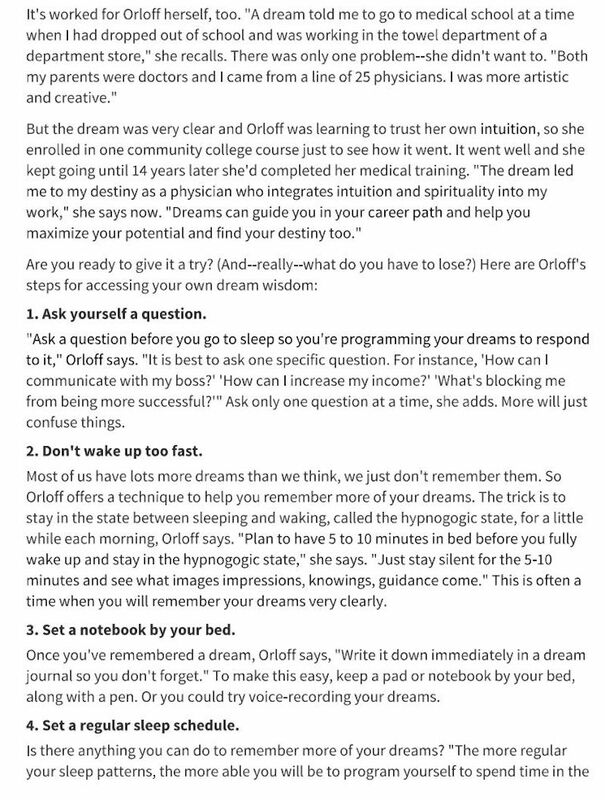 Dreaming may help. The state between wakefulness and sleep is called the hypnagogic state of consciousness. This is a wonderful state that can allow you to remember your dreams which can provide insight into problems. The song “Yesterday” came to Paul McCartney in a dream. In addition, Nikole Tesla, Thomas Edison, and Beethoven have all credited dreams with enhancing their creativity. 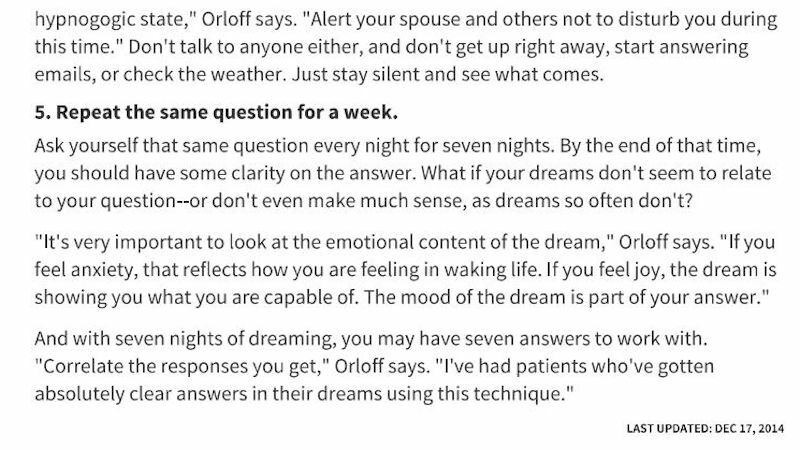 In my private practice with patients, and in my own life, the dream state has provided clear insight and answers to many of life’s biggest questions. But using dreams to guide your career and life path also means learning to trust your intuition. 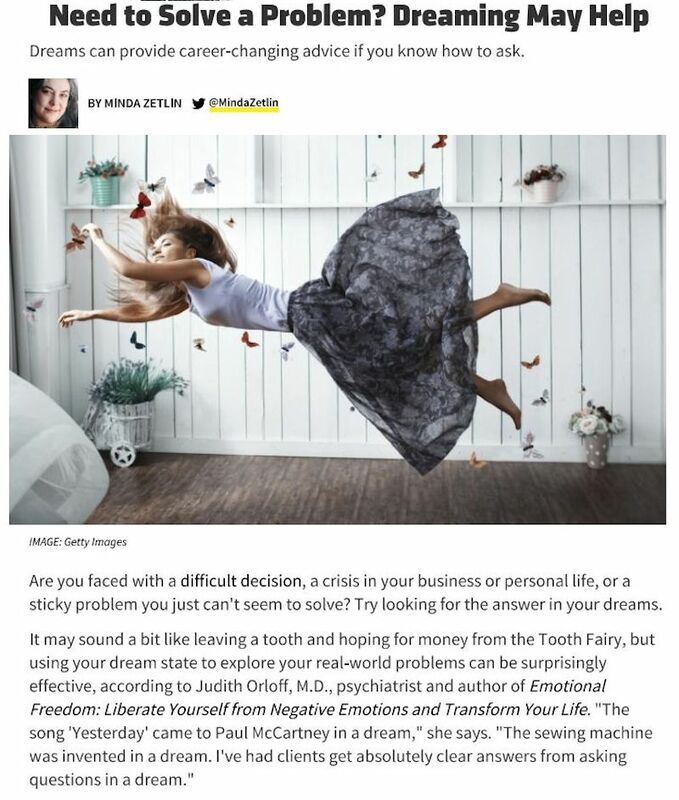 In this INC article, I share five steps to access wisdom in your dreams and how your dreams can also reflect your emotional wellbeing in waking life.